I’m linking up with Gussy Sews again this week for the “Inspiration Workshop!”. The prompt for this week is green. Y’all, when I think “green” my mind skips from nature to honeymoon. When Mike and I got married, we had to pay for the wedding ourselves. Yes, two straight out of college 23 year olds were paying for a wedding! It was beyond stressful. At one point we were going to do a Sandals honeymoon, but the cost of the reception grew out of control (unexpected guests were invited by a certain woman I love) in the last couple months of planning. Mike and I had to make a really difficult decision: do we skimp on the reception or do we cancel the honeymoon? For me there was no choice, but I knew that Mike would be upset with my decision. I cancelled the honeymoon. I was torn because I felt selfish for cancelling the one thing he had been looking forward to, but I really wanted our friends and family to have a good time. I started looking for less expensive honeymoon alternatives, but my wonderful mother-in-law stepped in and purchased a cruise for us! It was completely unexpected and we were (and still are) completely thankful! The beauty of the Bahamas was awe inspiring, and Mike’s favorite part of the trip was our Atlantis excursion. Has someone “saved the day” for you recently? There’s still time to enter the Sew Indy giveaway! Have you entered? How sweet and thoughtful of your mother-in-law! Lovely story!! And you're so lucky to have such a nice mother-in-law! Awesome!! And, thanks for stopping by my bloggy house. 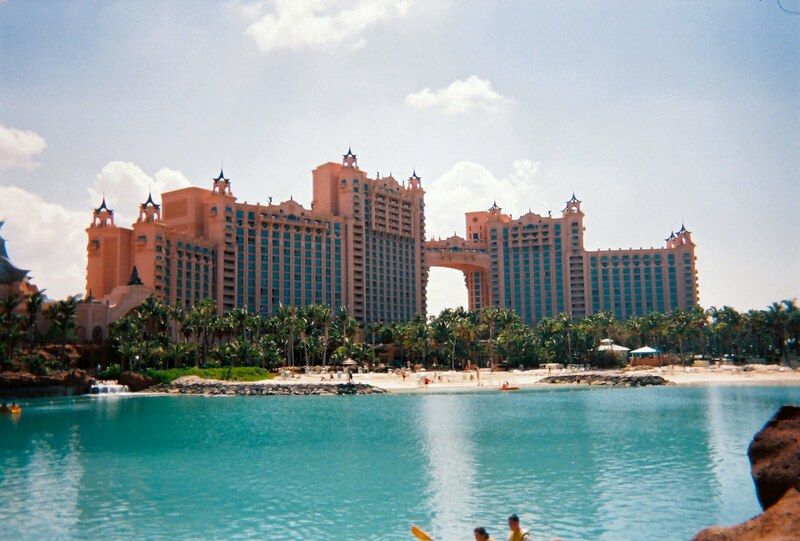 i want to go to the bahamas so bad. lucky! Love this pic! Thanks for sharing!! B ah amas should be fun! We were gonna go for our honeymoon but we ended up in the barbados!